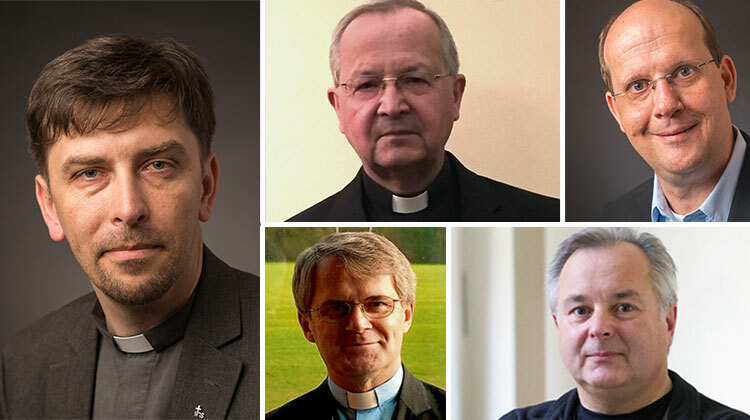 On Monday morning, November 7, Father General has announced the nomination of one Regional Superior and and four new Provincials. Here is the list. Fr. Boguslaw Steczek, 71 years old, Regional Superior of the Russian Region. He joined the Society of Jesus on July 30, 1963 and was ordained on June 21, 1972. At the moment, he is Director of the Archive and collaborator at the Provincial Curia of the Province of Southern Poland. Fr. Vidmantas Šimkunas, 52 years old, Provincial of the Province of Lithuania. He entered the Society of Jesus on June 11, 1986 and was ordaine on May 30, 1993. At the moment, he is the Prefect of St. John the Baptist and St. John the Evangelist, in Vilnius. Fr. Elemér Vizi, 42 years old, Provincial of the Province of Hungaria. He joined the Jesuit order on September 15, 2003 and had been ordained a priest on July 30, 2000. He is, at the moment, Rector and Vice-Superior of the Manréza Spiritual Centre in Dobogó. Fr. Johannes Siebner, 55 years old, Provincial of the Province of Germany. He entered the Society of Jesus on Septembre 19, 1983 and was ordained on April 25, 1992. At the moment, he is Rector of St. Alosius College, in Bonn. Fr. Leonard Moloney, 61 years old, Provincial of the Province of Ireland. He joined the Society of jesus on September 24, 1973 and was ordained on June 22, 1985. He was, until last year, Headmaster of Clongowes Wood College, Co. Kildare.